TAPAHTUMAT | Saku Suurhall l Heade elamuste kodu! 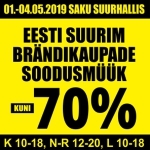 Estonian biggest special sale of branded goods again in Saku Suurhall. The special sale lasts for only 4 days. 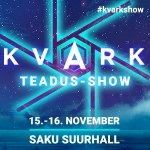 Due to overwhelming demand, Disturbed has upgraded the venue for its Tallinn, Estonia show from Kultuurikatel to Saku Suurhall. All tickets previously purchased for the Kultuurikatel location will be valid at Saku Suurrhall. Cherrytree Management and Live Nation have confirmed that Sting: My Songs will tour Europe summer 2019 with very special festival and concert appearances scheduled including a return appearance at Saku Arena in Tallinn on June 12. 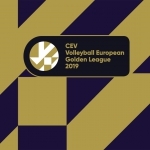 The 2019 edition of the CEV Volleyball European Golden League will be reaching its climax in late June with the Final Four tournaments due to take place in Tallinn, Estonia. 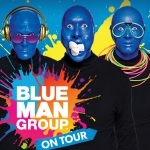 At Blue Man Group, you’ll rock, laugh and party! Three bald and blue man will be exploring our world through music, comedy, colour and technologies. One and half hour of surprises at every turn a guaranteed captivating moment. 18th September - doors open at 8pm, event starts at 9pm. 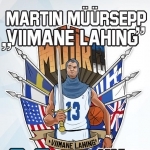 Ainsa eestlasena unistusteliigasse NBA jõudnud Martin Müürsepp võtab 26. septembril Saku Suurhallis toimuval „Viimasel Lahingul“ enda kõrvale endised võistkonnakaaslased üle maailma, et platsil mõõtu võtta legendaarse Tallinna Kaleviga. 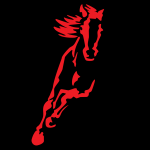 Tallinn International Horse Show 2019, will take place from 4th to 6th of October! Rock star of classical music and a phenomenal violinist David Garrett return to Estonia. 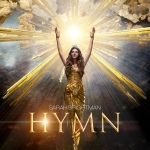 Sarah Brightman, the international singing superstar of crossover classical music, will present her new album in Saku Suurhall as part of her world tour. The legendary artist seeks to astonish you with her emotional and mystical new songs on 2 November 2019. Kvark Show is postponed from 18th and 19th April to 15th and 16th November. All bought tickets are valid also on the new dates, they don't need to be replaced. 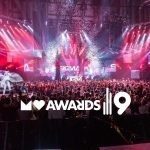 If the new date is not suitable, then you can return your your ticket until 19th April 2019! Two young scientists - Arnold Rein Tatunts and Mats Mikkor - demonstrate through spectacular experiments that science is not a bunch of annoying formulas, but an exciting adventure! Already for the sixth year Estonian businesses and their employees get together to celebrate Christmas. 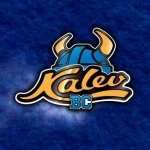 Christmas Gala will this time take place on 12th, 13th and 14th of December in Saku Arena.